Cluen has decades of recruitment database development and implementation experience spanning six continents. 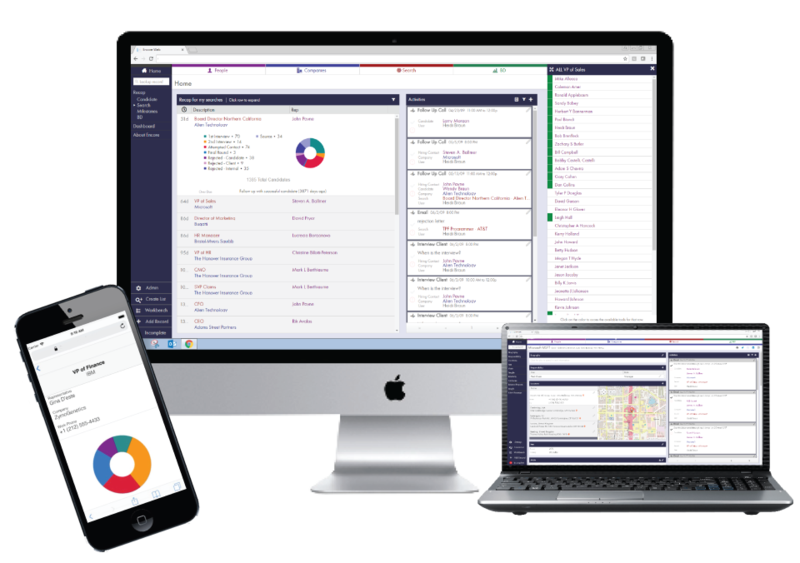 Our technology helps organizations nurture important relationships, track historical data, and win new business. Cluen's cloud-based solution, Encore, is used by executive recruiters, legal recruiters, in-house talent acquisition teams, government entities, universities, and venture capital/private equity firms all over the world. 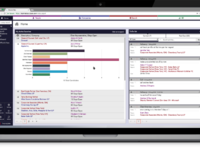 Contact us for a demo today! 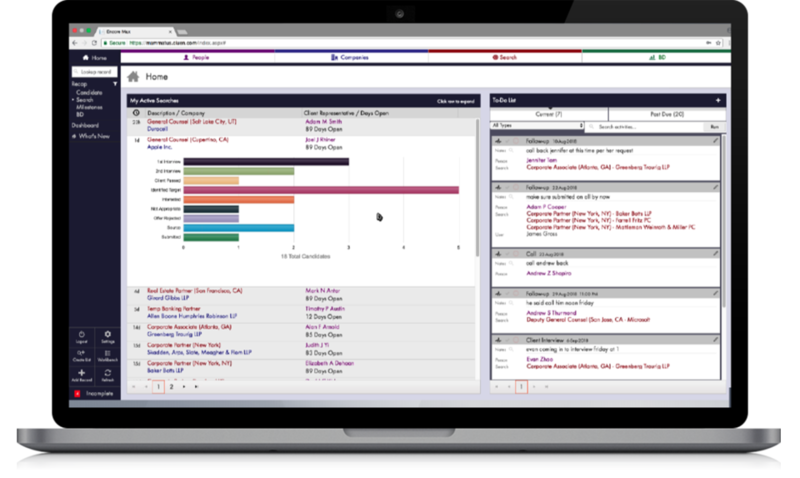 Pros: We were very selective in choosing a CRM when we started our business. Having used several previous recruitment databases and been through painful implementations we wanted to get it right from day one. Encore offers all the functionality of some of its bigger competitors - at the same time it is designed for ease of use. First of all it is extremely ergonomic, easy on the eye with clear, well laid-out buttons and shortcuts. 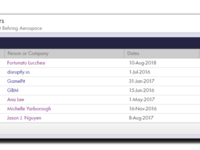 Underneath this easy-to-use interface are all the tools you need for detailed reporting and search information - some of which I am still getting to grips with. The fact it can be accessed on a smartphone is also a huge bonus. Another important plus point is how easily it can be customised to suit your own workflow - rather than the other way round. Cons: We haven't had any problems with Encore - Cluen host our version on their own cloud. Any minor bugs or glitches or quickly fixed in future builds which are quite regular throughout the year. Cluen are based in the US and we're based in London so face to face coaching and support is a little tricky, that said they are extremely dedicated and professional people who are passionate about their product. Despite technical support being over the phone or email they respond quicker than most companies would do in the UK, often within a matter of minutes - even when it must be the early hours of the morning in New York. 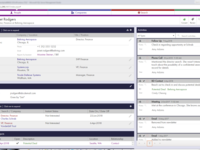 Overall: We're really pleased we chose this CRM - compared to its major competitors it just seemed much easier to use. I made the comparison with iPhone only because it feels like moving on to that from a Blackberry. 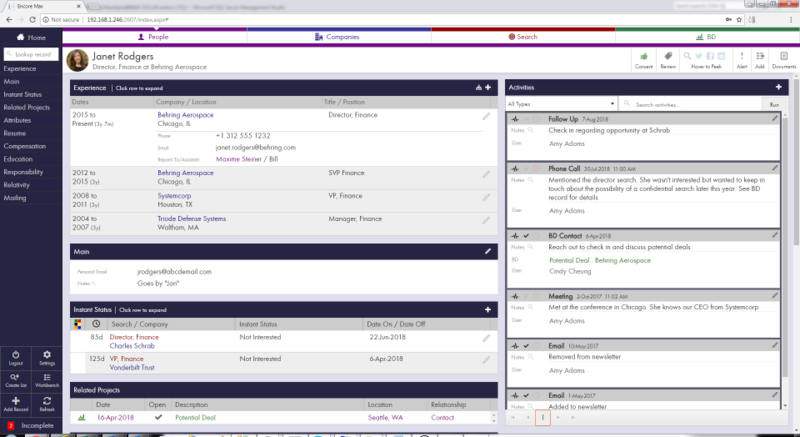 Other CRM's do the job perfectly well - but this has been built from the ground up to be easy-to use. 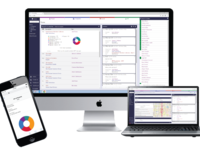 A great piece of software to grow organically with your business, we also liked the flexibility on pricing options (the ability to add in support for viewing on smartphones or client portals as optional extras). Above all though it is the customer service ethos these guys have - which I'm sure many other users would agree is rare in the IT industry. Highly recommended. Comments: I would definitely recommend this great product as its easy to understand and requires basic computer skills to operate. Pros: The main pros are these: 1. Data storage ability. 2. Ease of use and understanding for first timers. 3. Best platform for small to medium sized enterprise. Cons: This product is quite behind their competitors and it feels like an old "DOS" computer as compared to other like products. It is also extremely slow and lacking many desirable features. 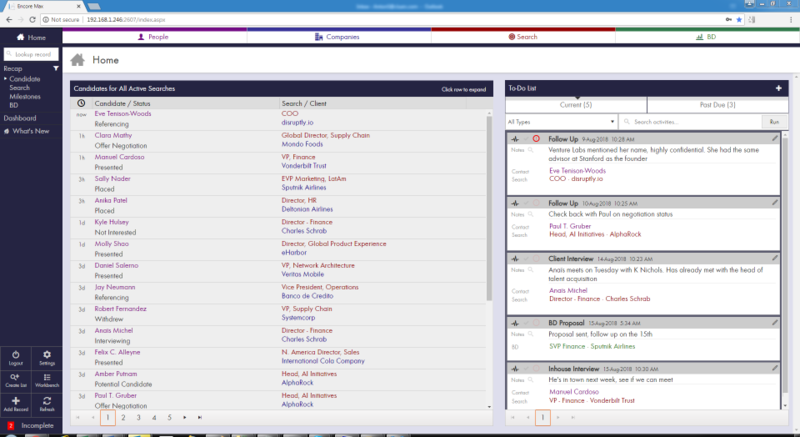 The best executive search management system! 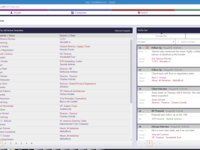 Comments: Encore by Cluen is by far the best search management system on the market! The user experience is outstanding and the system is intuitive to the executive recruiting process. They have both an agency and a corporate recruiting version. I used it for 7 years and in my new role I miss not having it. The reporting capabilities are tremendous.